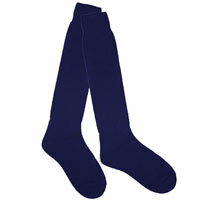 Calf high thermal socks for toasty toes; great for wearing with wellies. Gentle grip top. Instant warmth and all-day comfort. Suitable for UK foot sizes 4-8. 80% acrylic, 15% polyester, 5% elastane, hand wash at 30C.